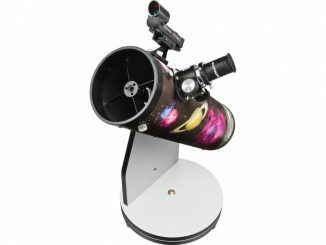 As its name suggests, this telescope’s eight inch (203mm) aperture provides a light grasp suitable for exploring the galaxies and nebulae that constitute the Messier catalogue — and many other deep sky objects besides. Yet its 1218mm focal length (f/6) gives it access to the higher magnifications required for planetary observations too. 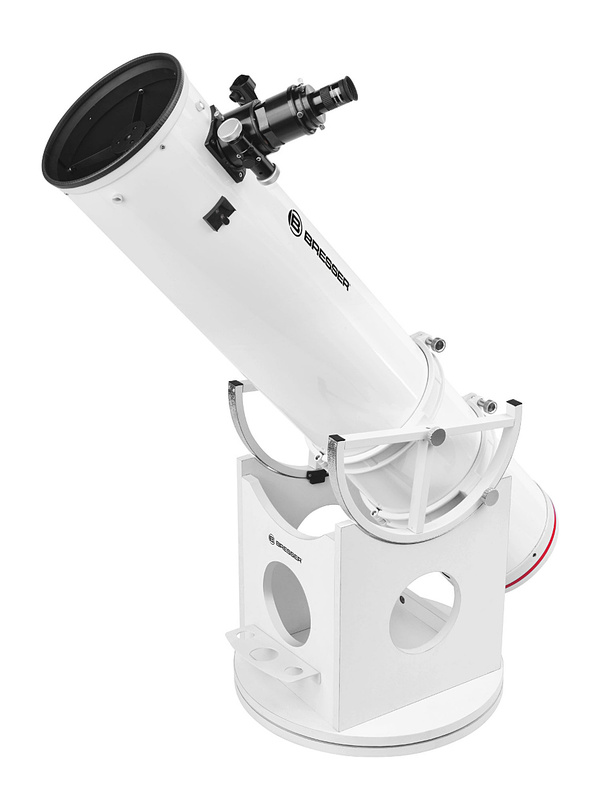 Its classic Dobsonian (alt-az) mount immediately makes it intuitive and simple to use — yet this is an instrument that offers features above those found in other telescopes of this type. Its claim on Messier object observations is underlined by an over-sized focuser tube that will avoid inducing the large eyepiece vignetting that a smaller barrel might incur. The mass of heavyweight eyepieces is no trouble for the ‘scope either because large altitude wheels diminish their impact on instrument’s equilibrium — and in another trick, if they do create an imbalance, the whole tube can be moved within its tube rings to compensate! So binoviewers, massive cameras, filter wheels — they’re all in a night’s work for this versatile little beast. 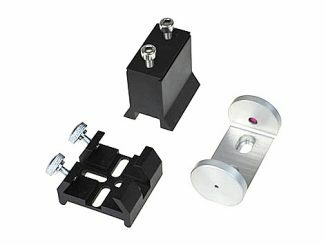 Speaking of versatility, the tube itself can easily be decoupled for dovetailed attachment to another mount, such as an equatorial for astro-photography. And this eager eight inch is keen for field work too, for the rocker box has been designed to ‘flat-pack’ in seconds for easy transport to dark sites. CCDs are incredible devices, gobbling photons that have travelled the vastness of space with great efficiency. Their Achilles heel is to also accept spurious signals from the immediate vicinity — within their own traitorous circuitry. 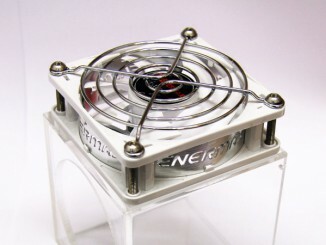 Steve Ringwood investigates a CCD cooling chamber that will reduce a camera’s noise and increase its efficiency for both daytime and nocturnal imaging.